The most advanced and fully automated rubber testing solution for high capacity manufacturers of rubber compounds and goods. The MonTech Online Testing Cell incorporates the most advanced automation technologies directly to an autonomous testing unit. Geared to emerging smart factory technologies, the unit may be supplied with four instruments including the moving die rheometer, rubber process analyzer, and bulk density machines. The Testing Cell is placed next to the rubber mixing line, retrieving and processing samples for batch release. Data is pushed to MES, ERP, or any system necessary for continued processing. 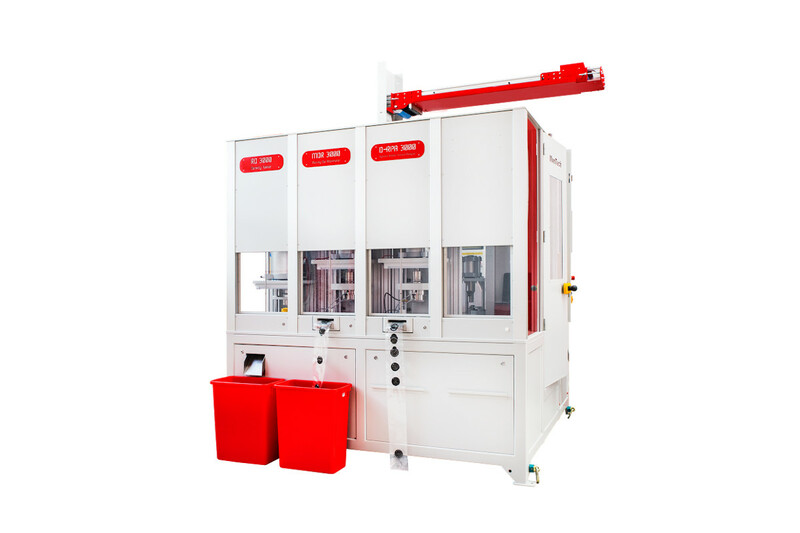 Online Rubber Testing Cells bring the laboratory to the mixing line by linking the necessary MonTech Standard Testing Instruments into a single, compact and modular enclosed frame. 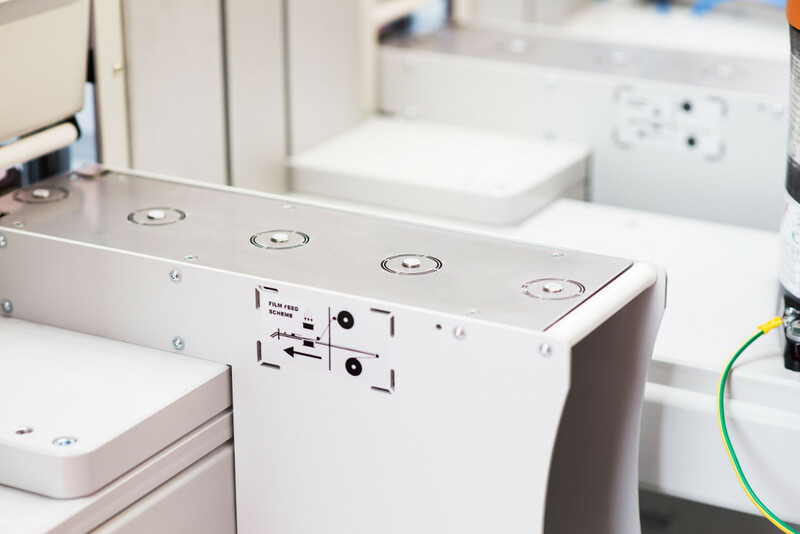 Designed per user requirements, modular emplacements include, labelling, binning, sample condition, sample preparation, specimen removal, transportation and testing instruments. 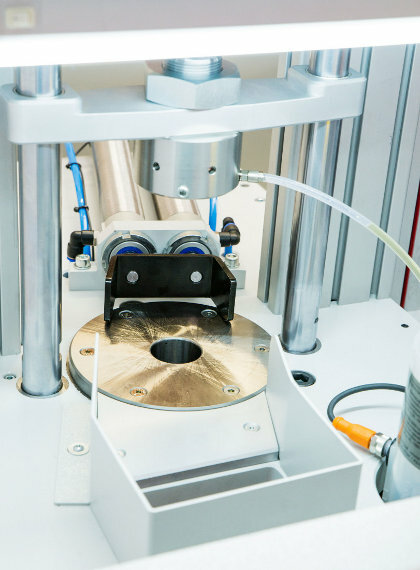 Once the test specimen enters the Online Testing Cell, the sample is conditioned and volumetrically prepared. 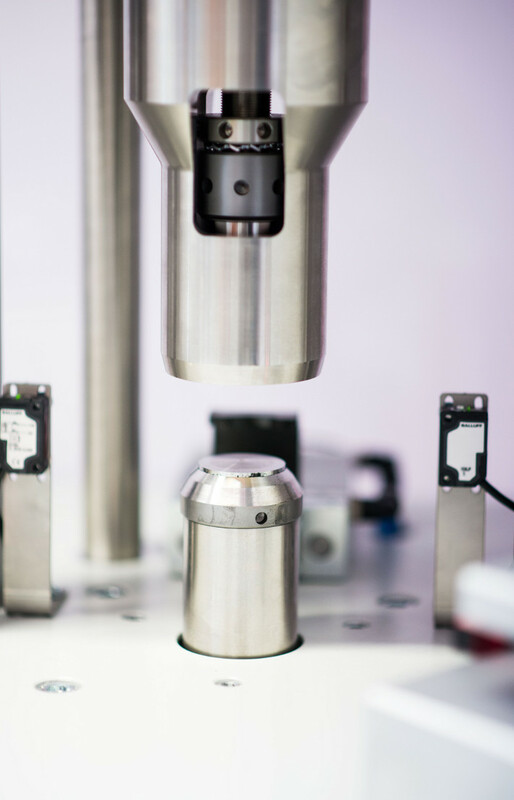 Optionally, camera based vision systems installed in the Cell can measure raw slabs, or non-uniform samples, for dynamic robotic alignment. The moving die rheometers (MDR), including the rubber process analyzer (RPA), are based on the reliable design of the MonTech laboratory testing instrument series, refined and adapted for complete automation and easy integration into the Cell structure. MonTech has adapted the RD 3000 compression density tester for completely automated operation. This includes draft-shielded sample weighing, sample feeding, test sequence running, volumetric sample preparation and disposal. The fast, easy, rugged and reliable process for obtaining bulk density results is unrivaled in accuracy and control. MonTech Online Testing Cells use the most reliable, and proven components. All Testing Cells utilize industrialized electronics and technology in each sub-system, eliminating expensive custom made replacements and promising highest dependability and minimal service efforts. 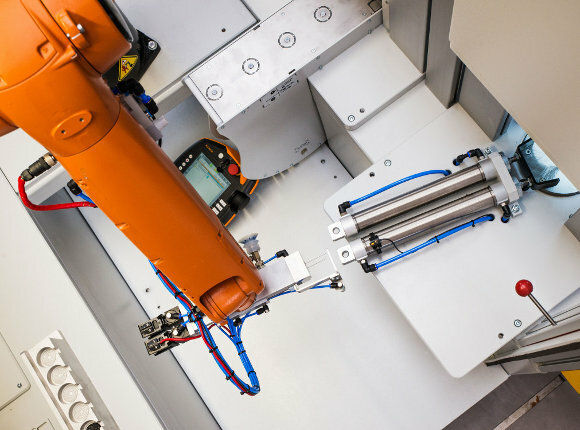 The core component to each Testing Cell is a highly precise, reliable and extremely fast 6-Axis robot system. 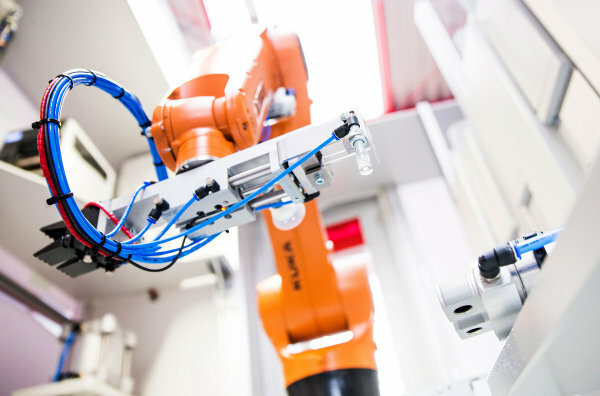 The robot is positioned in the center of the testing Cell with access to all critical sampling areas and testing sub-systems. 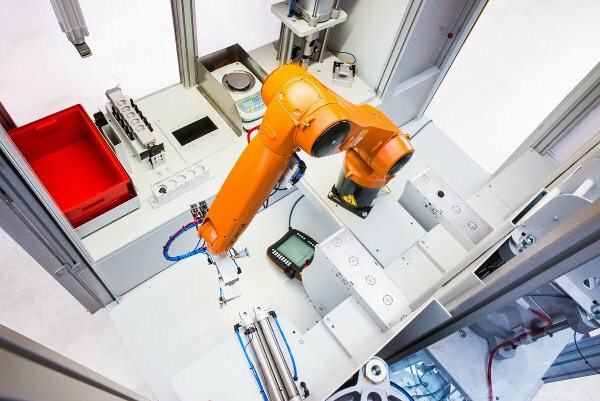 Applying robotics decreases operator variation, and increases the precision and repeatability of batch releases in the quickest response times. The closed loop control of mixing, testing, and host data interfaces provided by the Cell allows users to fine tune and optimize all processes together. 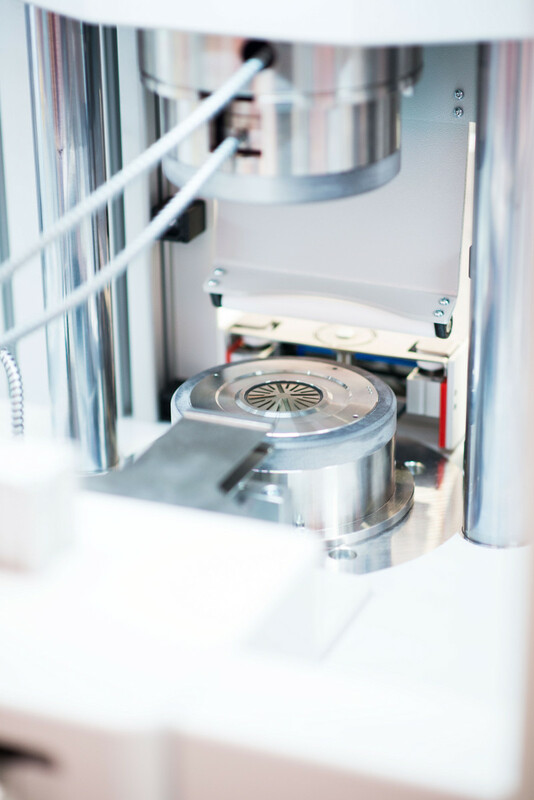 With MonTech Cells, users can initiate and modify control plans/test procedures for agile quality control, while predicting material processability and final product performance. 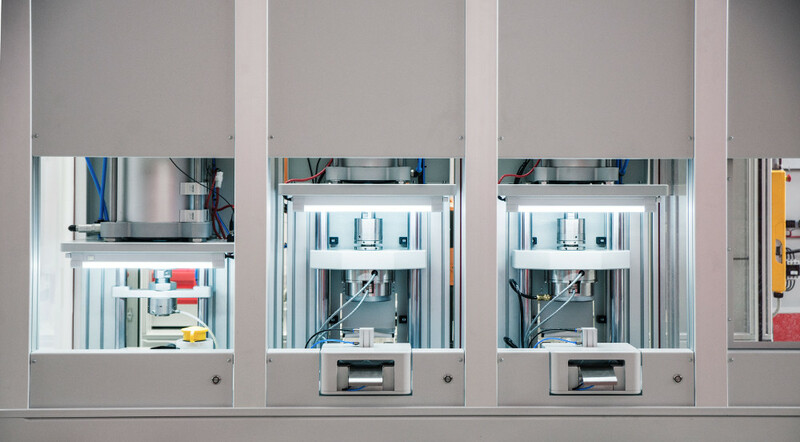 The type of mixing line, cycle time, and compound produced are taken into account during Cell development, ensuring instrument selection and control plans are optimized for Industry 4.0 manufacturing.